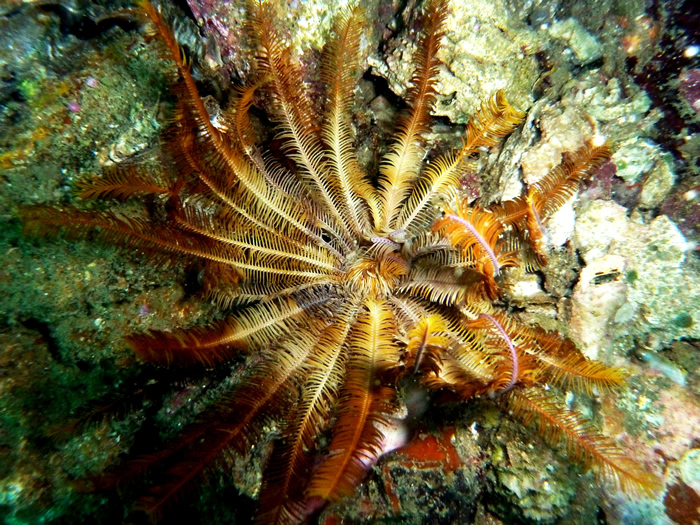 Dive the best sites on Koh Tao. 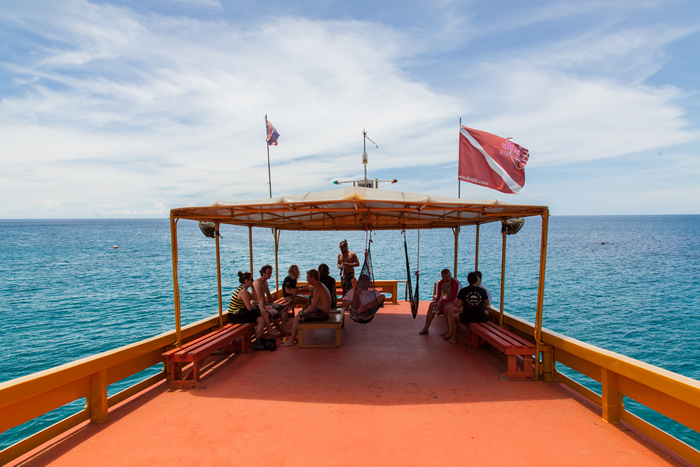 Dive Koh Tao in the best possible way! 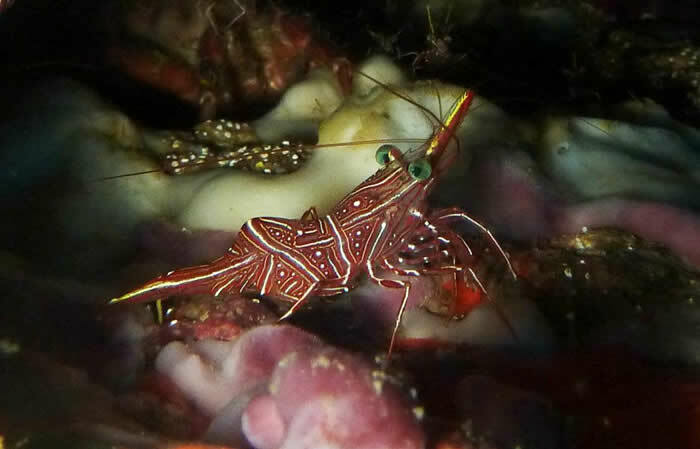 We have a big comfortable boat, which we take to premier dive sites twice a day for 2 dives at a time. 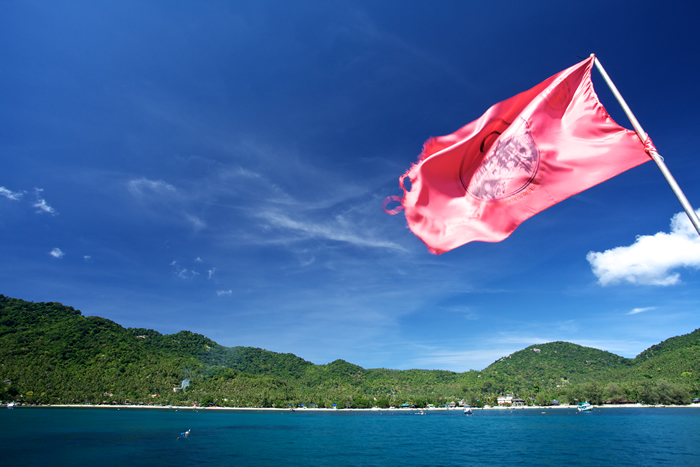 This way you can decide weather you prefer to have a lazy afternoon after two morning dives or you want to sleep in and do some nice relaxed afternoon diving around our beautiful island. 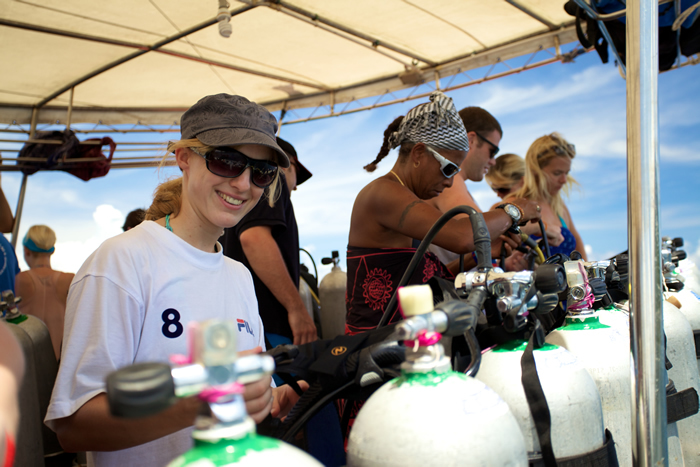 Our experienced team have put together a daily schedule that enables the best possible diving. We leave at 8am and the boat gets back at 12:15pm so you have the afternoon to relax. 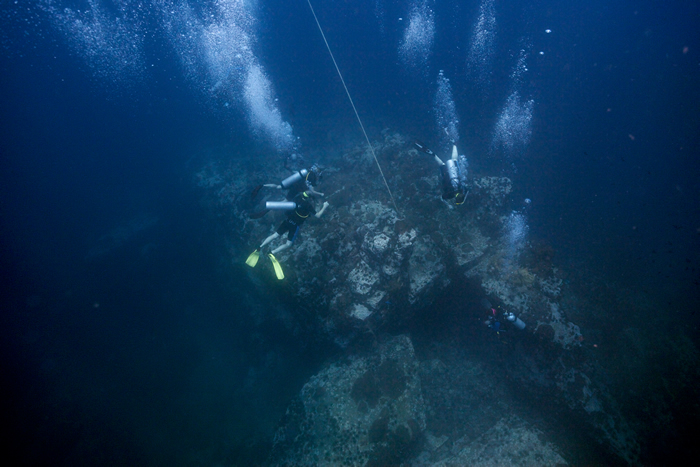 The second trip leaves at 1pm and returns at about 5:30pm for those divers that prefer a lay in. 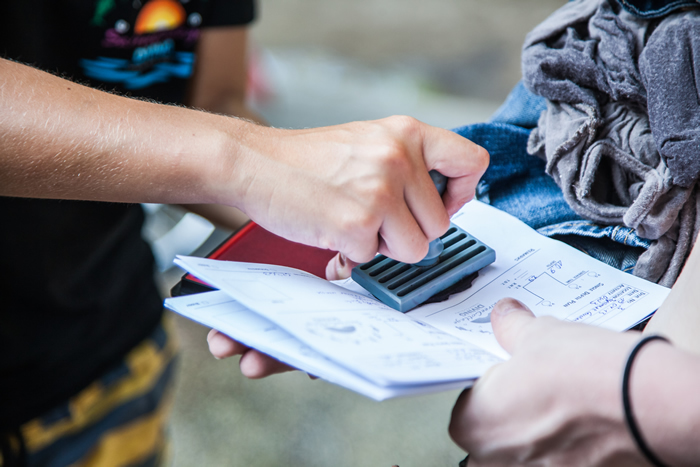 We offer drinking water, fruit, tea & coffee, biscuits included in the price. 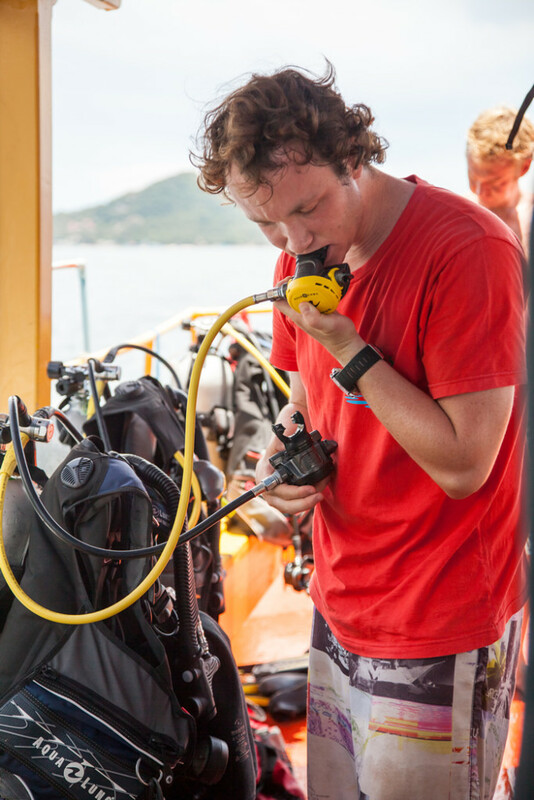 All scuba diving equipment is also included in our rates. 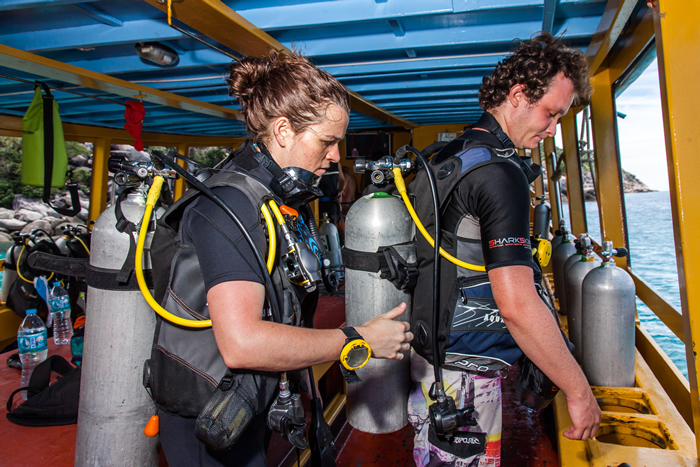 It does not matter what diving certification level you are, as our Divemasters will take more advanced divers in separate groups if they wish to go deeper than 18 meters. 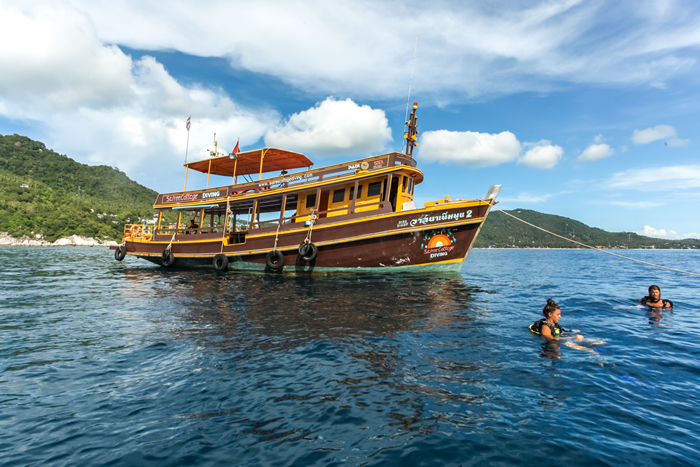 In 1 half-day trip explore 2 different dive sites around Koh Tao, includes lunch, fruit, biscuits and fresh coffee. 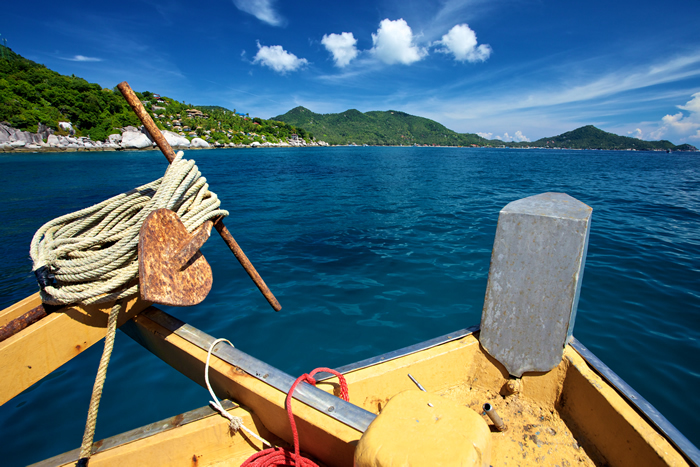 In 3 half-day trips explore 6 different dive sites around Koh Tao, includes lunch, fruit, biscuits and fresh coffee. 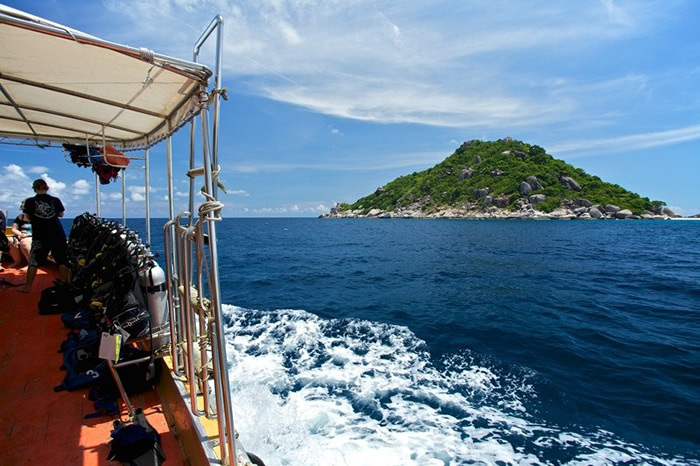 In 5 half-day trips explore 10 different dive sites around Koh Tao, includes lunch, fruit, biscuits and fresh coffee. 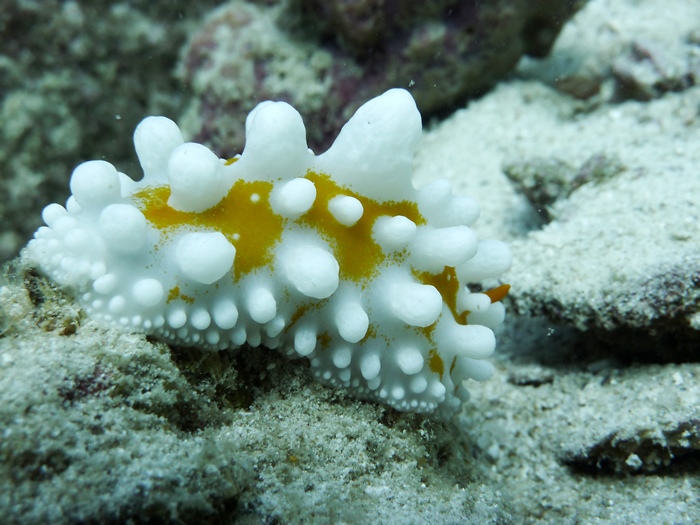 If you have not dived for over one year we may ask you to take a scuba review program before taking fun dives. 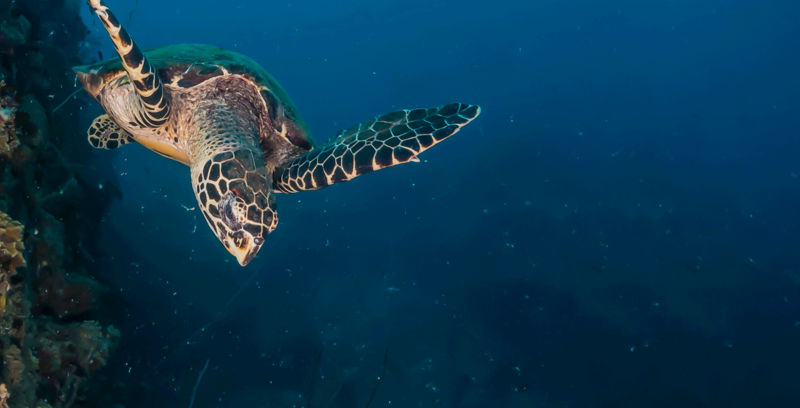 This program refreshes all your dive skills and makes diving safer and more fun. 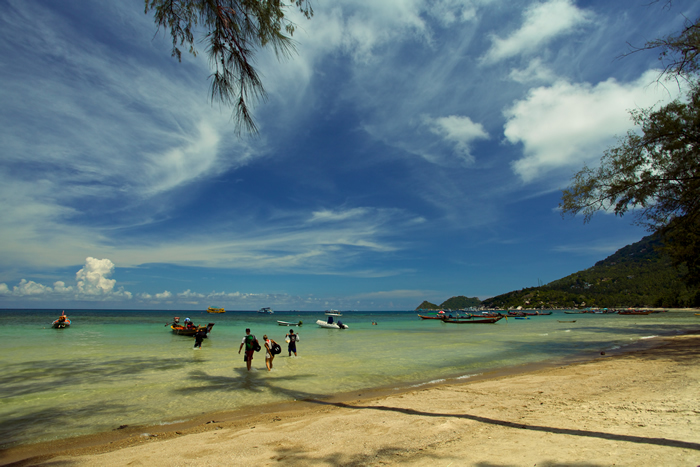 The scuba review is 1500 THB and takes an afternoon in the pool. 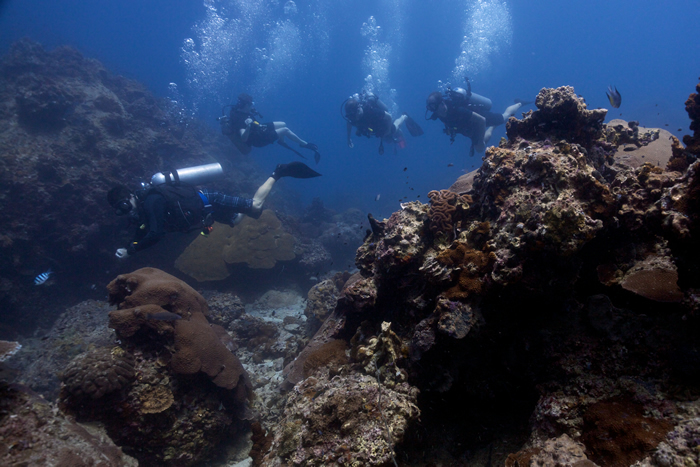 All fun divers need to show proof of insurance that covers scuba diving upon arrival. 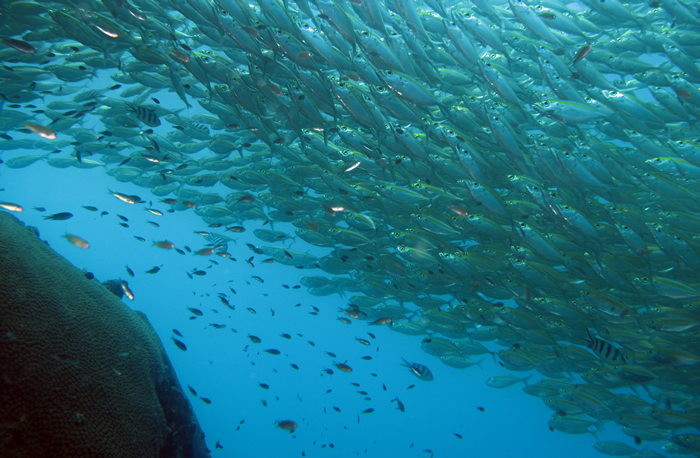 If your insurance does not cover scuba diving, we offer scuba diving insurance packages. 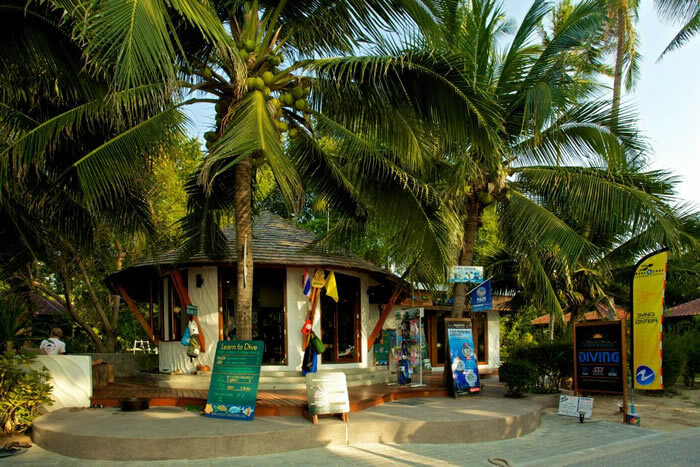 Please inquire at the dive shop.